Lets countdown to the greatest day of the year.....THANKSGIVING!! I adore Turkey Day for myriad of reasons. I love family and food and fun (all the good Fs in Life!). I love Butterball a lot and I have the utmost respect for them. I asked that they send me an extra coupon to donate to a family in need this year and they didn't hesitate to send me an extra one! How great is that? 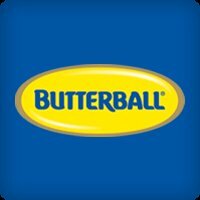 Coupons.com features a couple of Butterball printable coupons right now (while supplies last!) Get them before they are gone! Last year I gave away some free Turkeys thanks to Butterball and this year I am at it again! Last year I wanted you to tell me your favorite part of the turkey, this year I am filling more philanthropic. I would like to know who you know that could use a free turkey? Has your neighbor been laid off and you are worried that they don't have a lot to eat this year? Perhaps it is your parents or old friend. I want to know who you think could use a helping Thanksgiving hand and I also want to know why they need it. I will give two turkeys away on November 17th, just in time for Thanksgiving! I also want to know which Butterball recipe you would make to bring to them along with their free turkey! My friend Amelie could use some cheerful surprises after her hubby left a few months ago. Turkey Cutlets Francaise looks like a good dish to share. I would give it to my mother-in-law because she is recovering from surgery and needs some protein. My cousin and her husband are very hard-working people, but they never can get ahead with their minimum-wage skills. I'd love to bless them with a free turkey this year. What a joy that would be! And I'd bring the Beet, Spinach And Apple Salad With Pomegranate Vinaigrette along, too. Anything with beets makes me happy. I'd give it to my mom who lost her job last year. She is looking hard for a new job and a turkey would make her day! I'd make the corn and sweet potato pudding. Thanks! I added you on fb! I follow BB on twitter! I'd give a butterball to my aunt and her two kids age 11 and 6. They've fallen on hard times, and my aunt is in the middle of a separation and currently unemployed which I'm sure is hard on her and the kids. I remember my aunt always being there for me when I was younger and taking me out, and I'd love to return the favor and treat her and her beautiful children this Holiday. I am not at all the best cook, but I think I'd like to invite her and her kids over and we can all make the butterball together. I was looking at all the recipes and oh my bob this spice rubbed garlic-pear puree turkey sounds deeeeeeelicious and savory mmm..
My good friend is about to have a baby, and I know she won't have time to shop for the big dinner! Plus, she has all those baby things to buy. She deserves it! And the Cajun Fried Turkey recipe sounds GOOD! I have an elderly friend who is on a very limited income who could use a turkey. I would like to make the Classic Green Bean Bake to go with it. I would give the turkey to my son who is having a rough time making ends meet. He works a couple of jobs, long hours with low pay and no benefits. I would give my brother a turkey so he and his 2 girls could have a lovely day with just the 3 of them. Even with 2 jobs, it's difficult to find the extra to purchase a good turkey! My good friend who lost her husband to cancer is now raising two children on her own. She could use a turkey. I would give this to my boyfriend's mom bc money is really tight right now for her. Also the smoked sausage with beans and cornbread sounds delicious. I'd love to surprise my friend who isn't working since the birth of her daughter. I'd love to bring them Toasted Turkey and Roasted Pepper Sandwiches. I neighbor Stephanie could use a turkey this year. She lost her job a couple of months ago and her family is already feeling the effects. They are a delightful family & could use a hand up! I would try the Toasted Turkey & Roasted Pepper Sandwich ~ I love roasted pepper but have never thought of using it to make a turkey sandwich. Great idea! Honestly we would have to keep it this year. I never thought I would say that but it's true. We have always helped other families but this year we may have to go without. Yet I am thankful because it is my sons 3rd birthday on Thanksgiving. I like you on GFC as Ramblesahm. I like you on fb as Sam Whitney L.
My elderly neighbor would appreciate a turkey. I like the Roast Turkey with Mediterranean Rub recipe.